Build your Dream Home on this 2.06 acre Corner Lot in the prestigious Old Charlou Neighborhood of Cherry Hills Village! This Stunning property amidst Multimillion Dollar Estates has fabulous Western Mountain Views and its Idyllic, gently sloping terrain is perfect for a Walkout Basement. This is a ready-to-be-constructed listing; the home has not been built. Use our Architect & Builder- RemWhirl Architects & Copperleaf Homes or bring your own. The Location doesn 't get more Prime or Exclusive than this! You will have Access to the Nearby & Award Winning Cherry Creek Schools, Kent Denver School & Saint Mary's Academy. Commute to Downtown Denver in 20min or just a couple of minutes to Denver Tech Center. 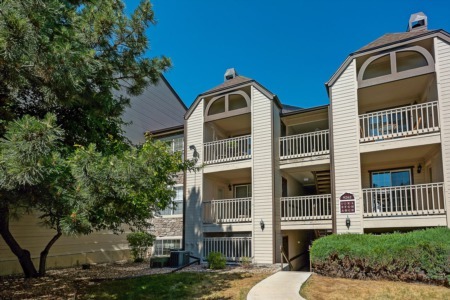 Shopping is only a short Fifteen Minute drive to Cherry Creek or Park Meadows Retail Resorts! Enjoy the Recreation that is at your fingertips being Adjacent to The Village Bike Path & proximal to The Highline Canal. Directions:Belleview Ave. West from I-25 to Holly St. Turn Right (North) onto Holly. Continue 0.8mi North to the Property at the North East Corner of Holly & El Camino. SchoolsClick map icons below to view information for schools near 4495 South El Camino Drive Cherry Hills Village, CO 80111. Home for sale at 4495 South El Camino Drive Cherry Hills Village, CO 80111. Description: The home at 4495 South El Camino Drive Cherry Hills Village, CO 80111 with the MLS Number 5151585 is currently listed at $4,250,000 and has been on the Cherry Hills Village market for 88 days. You are viewing the MLS property details of the home for sale at 4495 South El Camino Drive Cherry Hills Village, CO 80111, which is located in the Cherry Hills Village subdivision, includes 5 bedrooms and 7 bathrooms, and has approximately 10188 sq.ft. of living area.